Instructions for ginger ale are included in this guide as well so that those looking for a non-alcoholic alternative have an option for the kiddos. 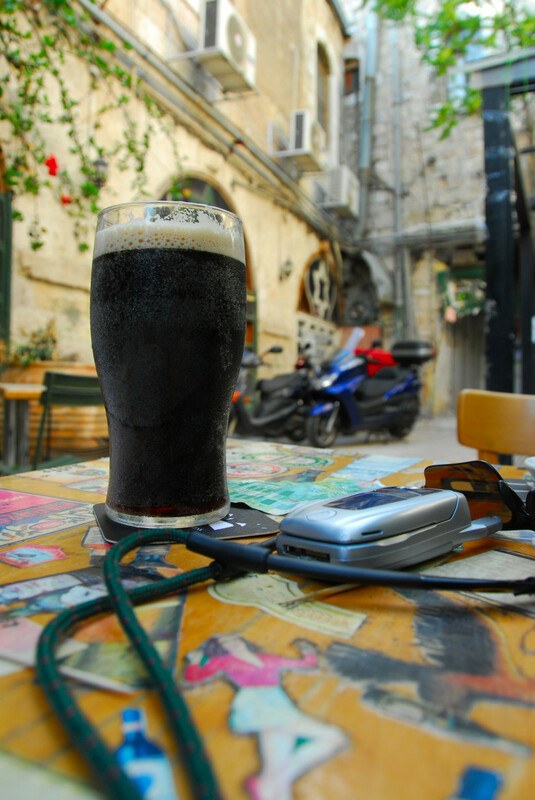 Looking for a Non-Alcoholic Alternative for Your St. Patrick's Day Party? Ginger Beer is an alcoholic beverage. If you're looking for a non-alcoholic alternative to traditional beer, you'll need to shortcut your process and leave out the fermentation. Because Ginger beer is fermented (the bubbles being produced by yeast), the bottle produces carbon dioxide and the beer becomes alcoholic. The alcohol content can be quite high in ginger beer (akin to that of a light wine) so bear this in mind when reading through the recipes and choose whether you wish to ferment. In short, Ginger Beer is beer. It tastes different because of the spices in it, but ultimately ginger beer is still an alcoholic beverage. Did you previously know the difference between ginger ale and ginger beer? Yes, I did! And I've tried both. Yes, I did! But I've only tried one or the other. The difference between ginger ale and ginger beer is the alcohol content. As with the difference between hot cocoa and hot chocolate, many Americans seem to make this mistake. While these beverages are similar to one another, there is a key difference. Like the cocoa butter in hot chocolate (vs. hot cocoa), the difference between ginger beer and ginger ale is the yeast (and therefore the fermentation process). All ginger beer has some alcohol content. 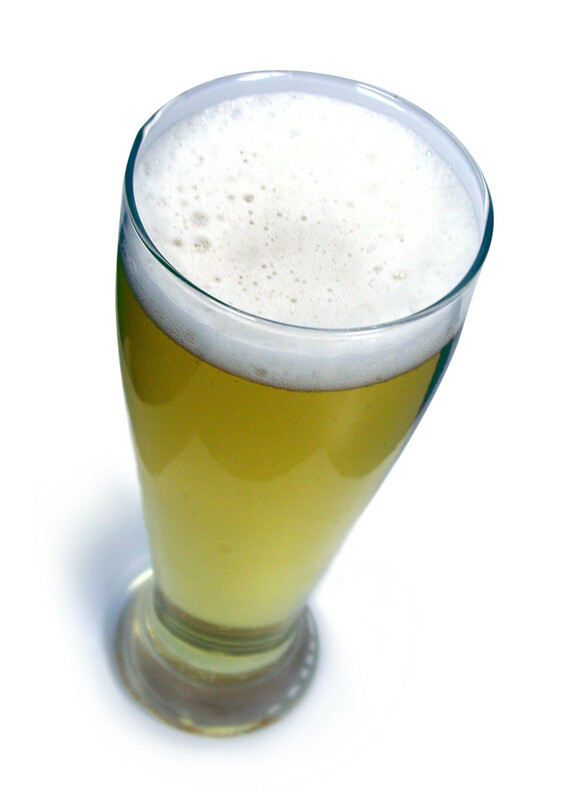 It may be small thanks to a short fermentation process, but the alcohol content in ginger beer can be higher than that of a barley-based beer. If you're looking for an alternative, you want ginger ale because it obtains its fizz from a carbonating machine and not from the yeast put into ginger beer. 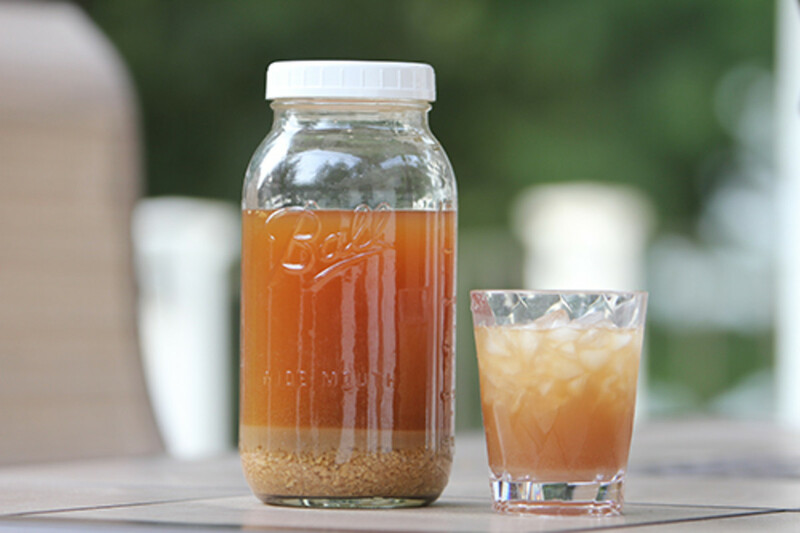 This recipe for ginger beer is simple and should be very easy to follow. Please make sure that you follow the instructions exactly: The fermentation process in brewing ginger beer may cause your bottles to burst and you want to make sure that you're paying attention to the pressure in the bottle you've used so that you can release it when necessary to avoid accidents. It's not recommended to use glass bottles. Use plastic. It's easiest to rinse out a soda bottle that you bought at the store. Straight-sided bottles are best (such as Pepsi as opposed to the contoured bottles Coke comes in). Note that the amount of alcohol in this recipe is negligible but to keep alcohol content in mind with ginger beer when you're considering making a different recipe or purchasing it. Processes vary! 1 Cup White Sugar, Make sure you use sugar! Alternatives won't produce the same effect. 2 Liter Plastic Bottle, Don't use glass! 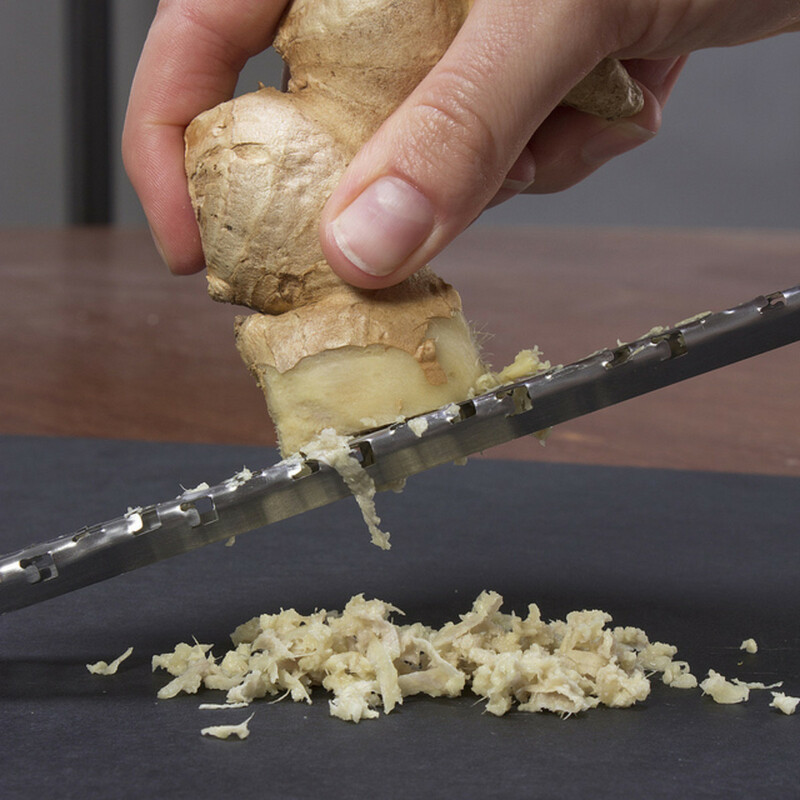 Peel your ginger and grate it finely. Add 1 cup of your water to a pot and place this over medium heat, then add the ginger and the sugar to the pot as well. 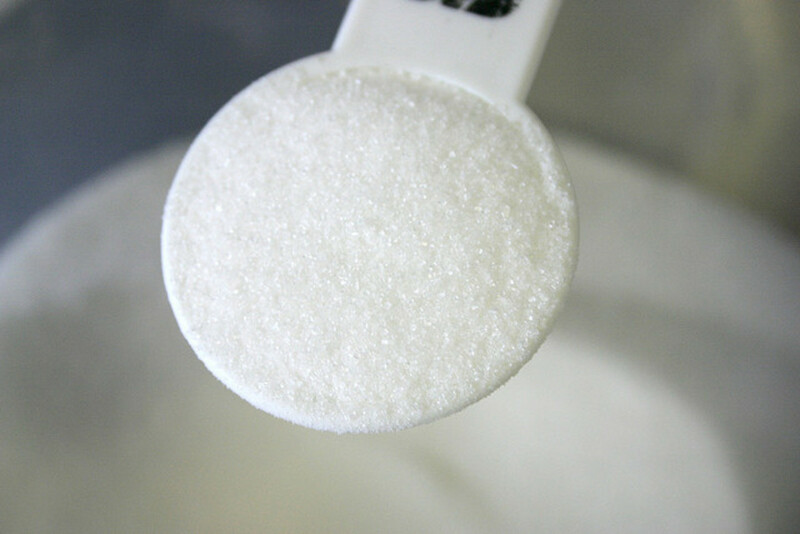 Continue stirring until the sugar is completely dissolved into the water. Allow the sugar, ginger and water mixture to steep until the water has been sufficiently reduced, leaving you with a ginger syrup. Strain your ginger syrup to remove the ginger solids and discard the solids, retaining the syrup. This is the base of your ginger beer. Using a funnel, sprinkle the yeast into the two-liter bottle and then add your syrup and lemon or lime juice to taste. Pour the rest of the water over this mixture, cover the bottle and then shake the bottle well to mix the ingredients together. 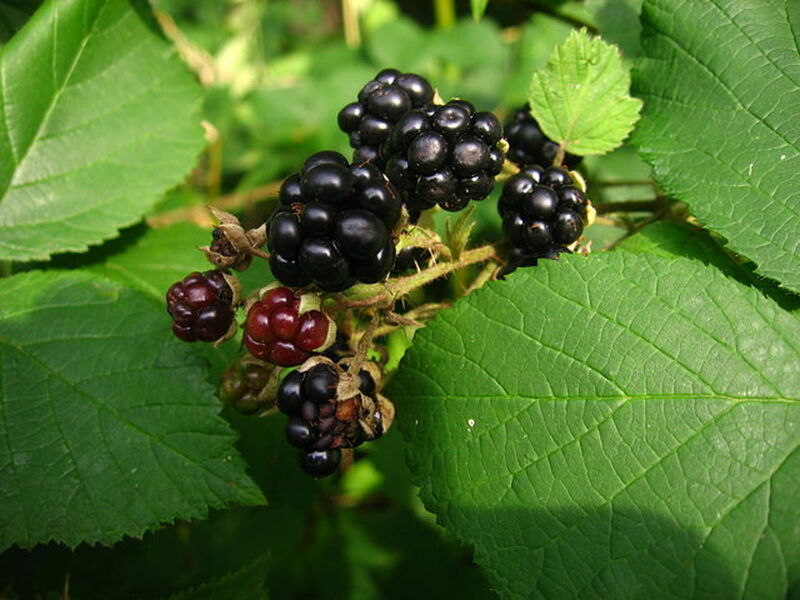 Store the bottle out of direct sunlight for 2-3 days to ferment. You may move it to the fridge at this point to prevent further fermentation (keeping it mostly a "soft" drink) or you may continue to let it ferment. If you wish to continue the fermentation process, release some of the gas every couple of days in order to prevent the bottle from exploding. 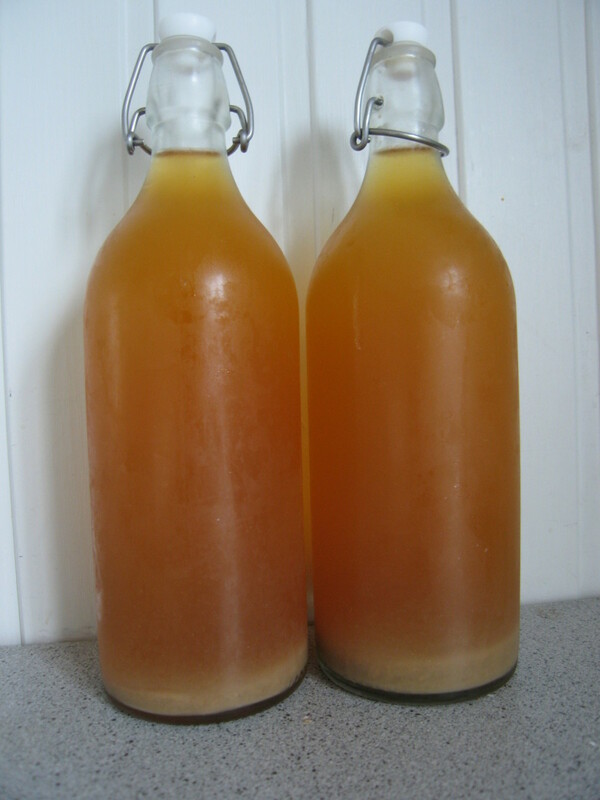 If you ferment your ginger beer for 2-3 days, you should get the fizz you're looking for without a lot of alcohol content, and the ginger beer should still be a good alternative for children when the grownups are drinking barley beer. It's up to you as the parent whether you're comfortable with your children drinking any alcohol, and those sensitive to alcohol should consider a different option (such as the ginger ale listed to the right). 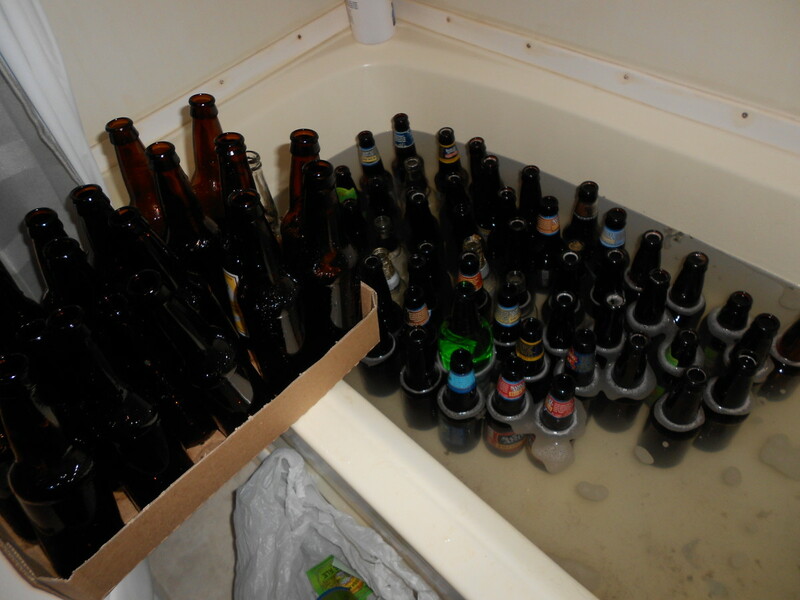 For a higher alcohol content, ferment for longer. You may potentially need to add more yeast into the process, and you'll need to continually stir your beer in order to keep things working the way that they need to. 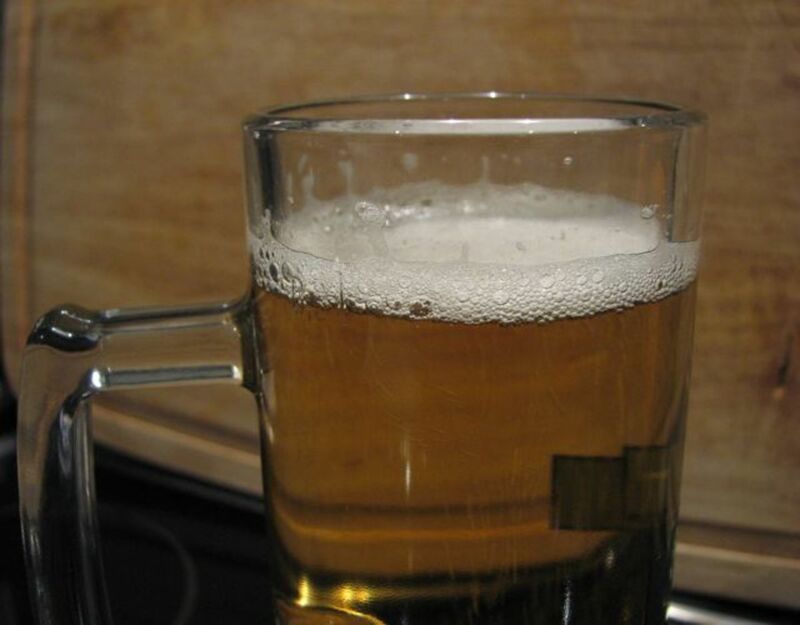 On the other hand, if you want less alcohol, brew for less time. 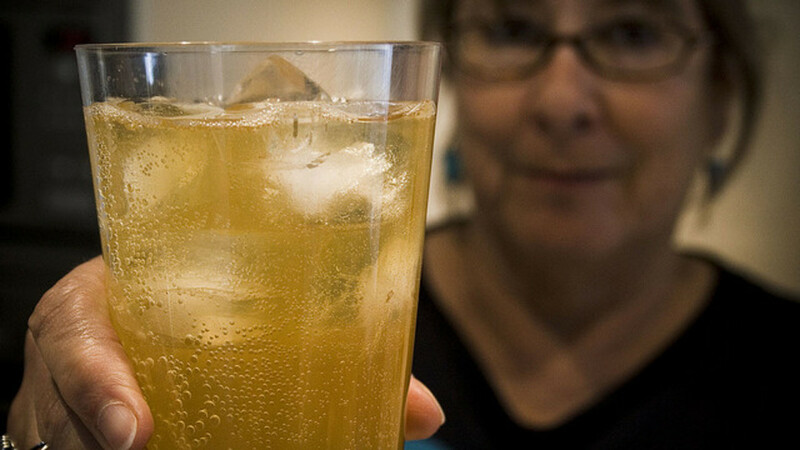 Drink your ginger beer just as soon as it's fizzy enough to be a soda. This will give you the minimum of alcohol. Ginger beer is considered perishable because of the fermentation process. If you want it less fermented (and less alcoholic), drink it immediately following its fizz. 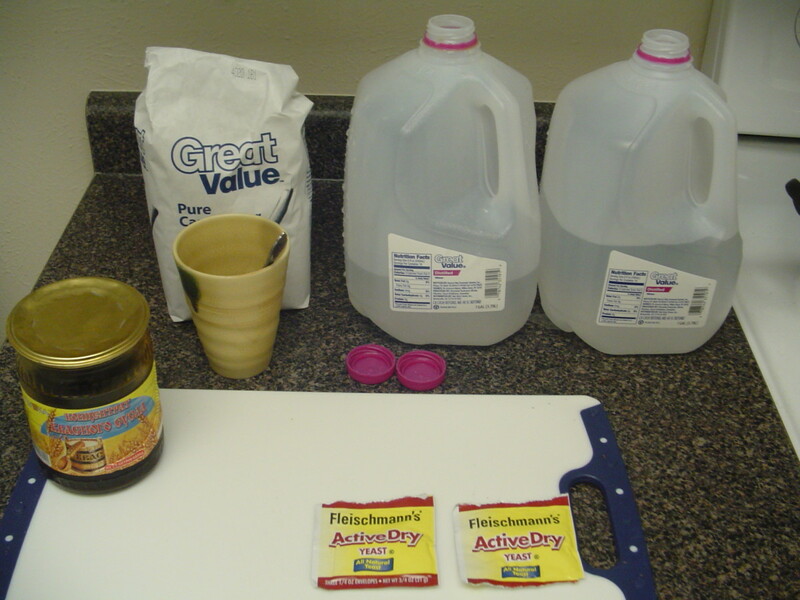 The nutrition information supplied to the right is estimated due to the fact that different sites had varying information on the nutritional content of granulated sugar. One site claimed that sugar had 0 carbohydrate in it (which is obviously not true) and with inconsistent values, the best possible results are illustrated here. Your ginger beer may produce sediment, particularly if you ferment it for longer or use a ginger bug (for soda making) in your ginger ale. This sediment is normal in the fermentation process. You may either strain the liquid back out (leaving the sediment in the strainer) or drink carefully and leave the sediment in your bottle. If you pour before drinking, you an avoid it altogether and use it for flavor. If you prefer something that doesn't have any alcohol in it at all, it's quite simple to make your ginger ale at home as well. This can be given to the children so that they feel like they're consuming the same drink that the adults are when drinking their ginger ale. While ginger beer often has a low alcohol content, you may wish not to allow your children to drink it even so. 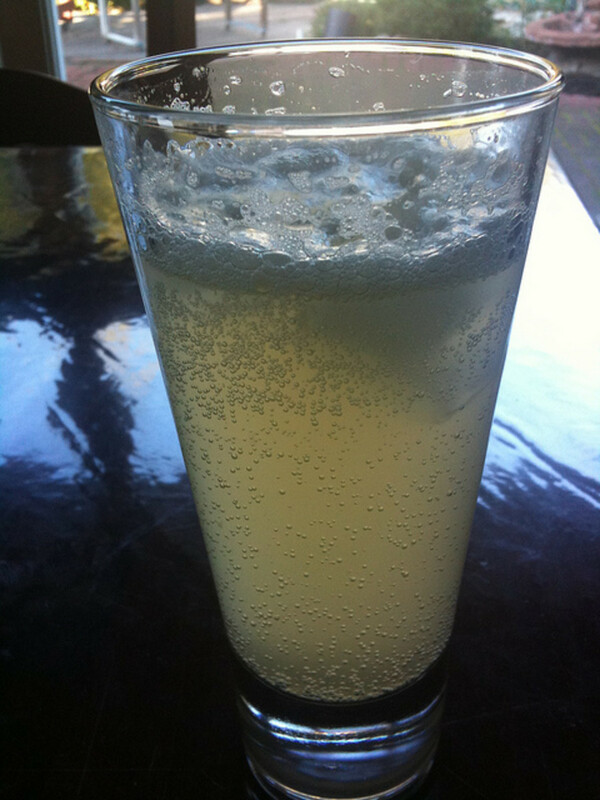 Ginger ale is a good solution to this problem and is incredibly simple to make. You should already know how to make your ginger syrup from the recipe above. Add this to carbonated water (soda water) and mix well. Voila! Ginger ale! It really is that simple to make delicious ginger ale for your children to drink while you enjoy the alcoholic version of the drink. 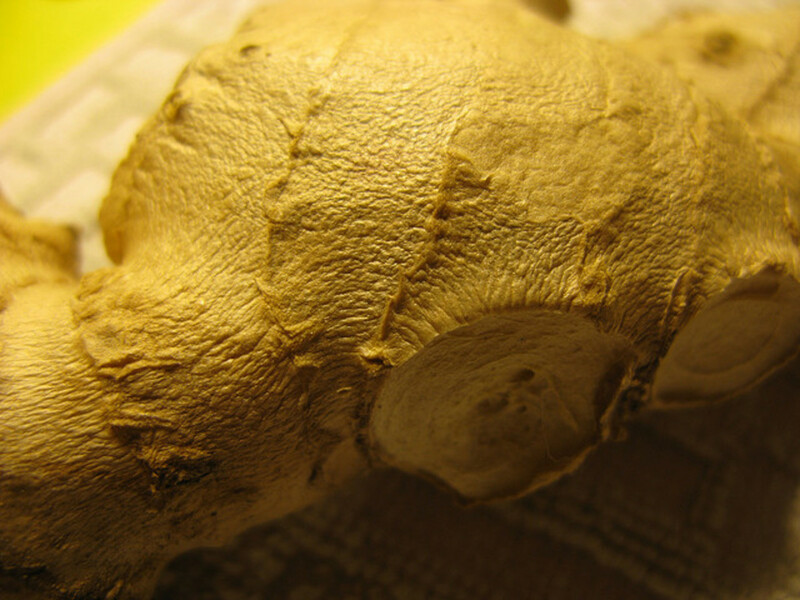 If giving this to children you may wish to consider going light on the ginger because of its strong and spicy flavor. Ginger ale is what I connect holidays with! It's a great drink and I love both its alcoholic and non-alcoholic versions. Thank you, Gladiols! I hope you try it and enjoy it as much as I do! It sounds amazing. Great article! Thanks for sharing. I hope you try it, Mary! I'm sure he'd love it. Sounds good my husband would like this. Awesome Page, definitely going to try this one. I didn't know the difference between the ginger beer and ale either. Its not usually my thing but i think i'll give this one a try for homebrew. My husband discovered Moscow Mules which require ginger beer. I am looking forward to trying my hand at this. Thank you. Ginger anything is good, but ginger beer just sounds amazing! Great article! Now this something our like to try being the beer connesuir that I am. It is! I've done a hub (on another account) about using ginger to treat morning sickness, as well. Mint is also very, very good. Oh, I bet cloves would be very nice! Thank you for the tip! It's very low in alcohol content, unless you intentionally brew it to be stronger in alcohol, so it's a great alternative. I love, love, love home made ginger beer! I love ginger beer. Having African parents, I remember them preparing it for functions and parties. It's really good if you add cloves to it. I also love the Jamaican brand too. 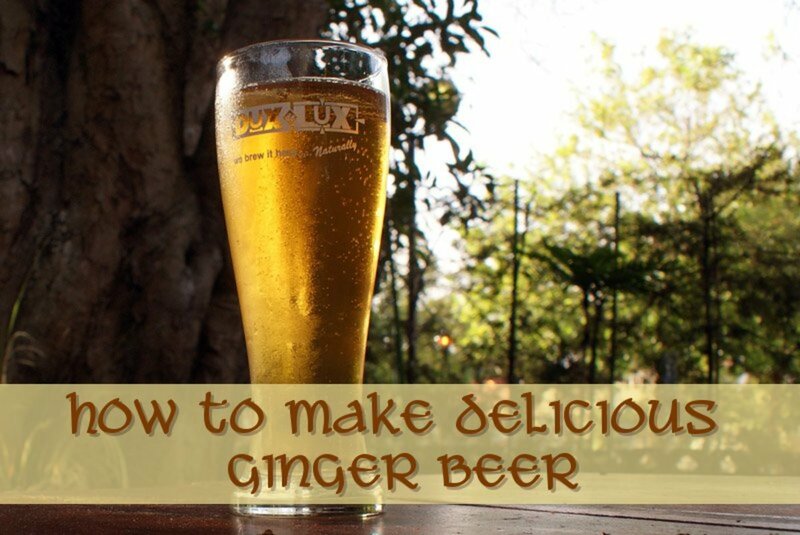 This is really interesting, I never even considered making ginger beer before I read your hub! You have worked out exactly how to do it. I don't drink regular beer, but this sounds quite tempting to make next weekend! I didn't know that ginger beer was not the same as ginger ale! I learn something new every day! Congratulations on winning Hub of the Day! Congratulations on your Hub of the Day! This is very useful. 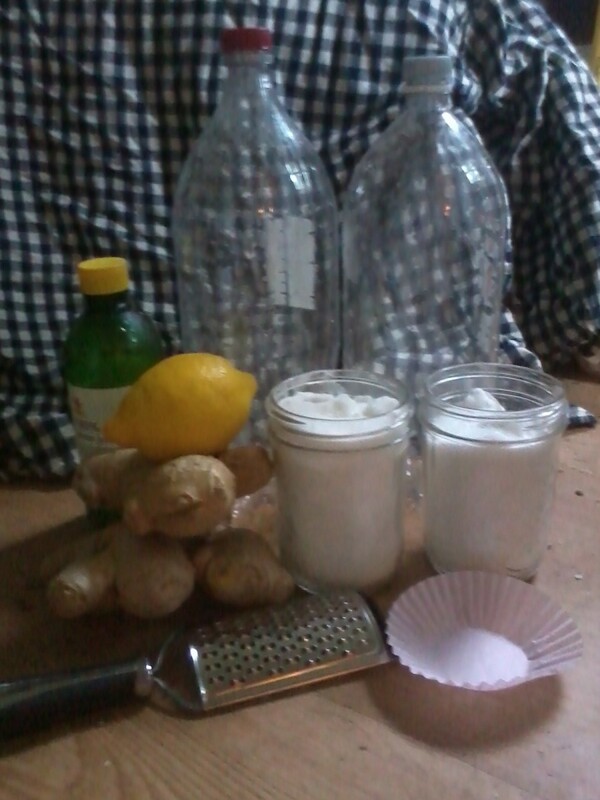 I never knew how to make homemade ginger ale or ginger beer. Nicely done. Thank you all so much for your comments! I hope it goes better for you next time, Cecil! My sister in law made ginger beer for a party and it was delicious! Definitely worth making. Great hub! I've made my own ginger beer (using a recipe from the 1973 Australian Women's Weekly) with... what you'd call 'mixed success'. I'll have to try out these recipes and see if I can improve on it! huh, this was all quite interesting, thanks! Not complicated at all, Beth! Good luck! My husband and I enjoy trying new beers, so will definitely have to try this recipe - and really, it doesn't seem very complicated. Thanks much for posting! We used to buy ginger beer when we would visit Williamsburg, Virginia. What a great recipe. I will have to give this one a try. Hope you enjoy it, Jeannie! I look forward to trying this-thanks for sharing! Thank you so much, Suzanne! If you want something stronger, try the brew in the video. I haven't tried this one as I prefer hard cider over hard ginger beer. The longer you ferment it, the stronger it should be! I love ginger beer and ginger ale (and now I even know that I've had both!) Might have to try out your recipe, it looks fairly easy. My family has a reputation for some serious home brews, so here's hoping the alcohol content won't put us under the table! Voted interesting, rated and pinned. Great, thank you Eddy! Hope you love it. Easy to make and delicious to drink. I haven't tasted Ginger beer in years but will definitely give this one a try. Will let you know how I get on. You're very welcome! Well-made ginger beer is delicious. The shorter your fermentation time, the less alcohol that's in it, but you can always mix the syrup with soda water. I have always wanted to make this. I would prefer the non alcoholic variety. This is something I had in the UK which was a Jamacian brand (or so the label claimed) and loved it. This will be my project for this week.